The holidays are right around the corner. SeafoodS.com is excited to feature a Wintertime Halibut from the polar circle. Our Day Boat fleet of nine Norwegian “Sjark Boats” fishes short trips in the Barent Sea. Ultra-fresh, flown weekly into the United States, this halibut is a perfect feature for your December menu. Acquired in 1965 by Marion and Glen Lloyd, the Ranch served as the stomping grounds for the extended family while they raised various breeds of commercial cattle. Mary Lloyd Estrin and her husband Robert (Bob) Estrin took the reins of the Ranch in the mid-90s, spending cherished time on the land while cultivating a new legacy for the Ranch. After experiencing Wagyu beef at a Santa Monica restaurant in 2004, Bob knew the future of the family Ranch lay on his plate. In 2005, Bob purchased his first two 100% Fullblood Wagyu Bulls, transitioning the entire herd from conventional cattle to 100% Fullblood Wagyu by 2008. Located in Golden, New Mexico, between Santa Fe and Albuquerque on the historic Turquoise Trail, the Lone Mountain Ranch is a treasured and enchanting swath of land. Nestled between the San Pedro and Oritz Mountain ranges, this 27,000-acre plot is a vibrant ecosystem anchored by the lone mountain that guards the valley. We value this very special place as a piece of our heritage and take great care in nurturing it. Get your Sea Scallop recipes in “Holiday mode”. 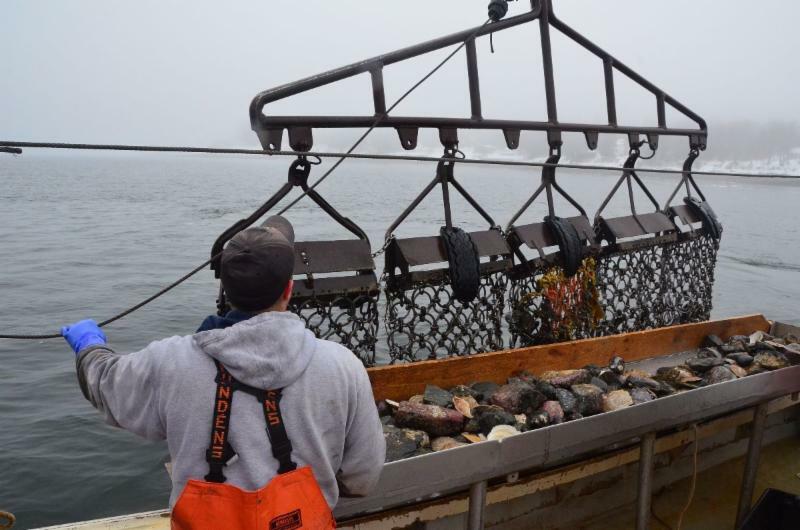 December 1st opened the Maine Scallop Season and SeafoodS.com unites again with some of the freshest Day Boat Scallops Maine has to offer. This small Day Boat fleet of divers and dredgers are rigged and ready. The Scallops’ commercial harvest bolsters 6 day work weeks. The weeks consist of half diving beginning December 1st and ending April 15th, and half dredging beginning December 5th and ending March 29th. Each shipment of Day Boat Sea Scallops state F/V or Divers’ names to ensure you and your guests the trace-ability of these immaculate Scallops. Reach out to SeafoodS.com to get your Holiday menus secured. The Spencer Gulf prawn fishery leads the way in environmentally sustainable fishing practices, which is now being role-modelled worldwide. Recently this was acknowledged through being awarded Marine Stewardship Council Certification. Spencer Gulf King Prawns are an Australian product, caught and packed in Australia. The highest level of quality control is maintained, ensuring presentation, flavor, and product life is preserved. Wild Nigerian Tiger Prawns are an alien species to many waters far from their Asian origin. They are considered invasive, and eating them could be viewed as stewarding ecological balance. Wild Nigerian Prawns are an incredible tasting and an awe inspiring product. With correct culinary application, the Wild Tiger Prawn can be the summit of the “Seafood Feature”. A hearty initial snap that finishes buttery and succulent, Tiger Prawns are “Giant” in proportions (some 10-13″ long), and have vast culinary applications. Wild Nigerian Tiger Prawns will have your guests “Marketing” your restaurant to everyone they encounter. arabineros are “Parte superior del mundo”. Top of the world!!! Carabineros reign supreme in Mediterranean Fine Dining. Red Shrimp boast a natural Lobster-Like Sweetness and a very robust “Sea” flavor. Revered for the almost absurd size the Carabinero is by far the largest Red Shrimp on the market. Culinary applications demand skill and respect of the product. Treat as a delicate small Lobster and it becomes a protein without reproach nor equal. Captain Jeff Henderson of the F/V Miss Alice has been fishing the Nantucket Harbor and surrounding scallop grounds for decades. Over the years he has developed an almost uncanny knack to always locate these succulent bivalves regardless of the conditions. Jeff works with 15 other boats and skippers during the course of the Season to provide SeafoodS.com with “Nannys” direct from his “Scallop Shanty” to your guests plates within 24 hours from live shuck. Nantucket bay scallops are harvested by fishermen in small boats from the shores and bays of Nantucket Island using hand dredges. Scallops are landed live, taken ashore and immediately shucked, often by the fishermen themselves in dockside shucking shanties. Fishing for bays can be restrictive: besides heavy winds and ice that can keep the boats tied, fishermen are actually forbidden from harvest if the air temperature is lower than 28°F before 10 AM. Because the water is warmer than the air, scallops will die immediately once dredged, killing both undersized juveniles who would be cast back along with the marketable catch. And although the season is opened until March, it is not uncommon for fishermen to stop fishing altogether once the harbor freezes up entirely, sometimes as early as the first week of January. Nantucket Bay scallops are smaller than sea scallops, and are about the tip of the thumb once shucked (60-80 per lb or 60-80 count). 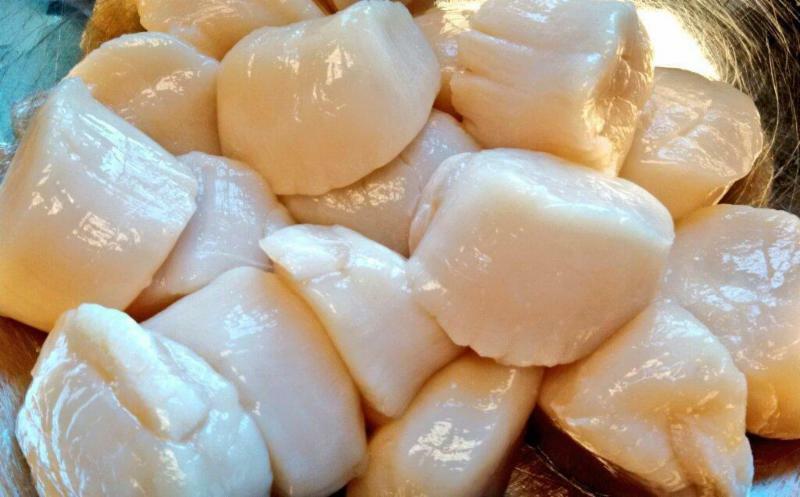 The meat itself is the abductor muscle of the scallop, and has a sweet, mild taste that is unequalled anywhere. Nantucket Bays are especially sought after because of their ability to be served raw when fresh, and at their ability to caramelize beautifully when put to heat. Super fresh Nantucket bay scallops can and SHOULD be enjoyed raw. Some sushi connoisseurs swear that the scallop is the greatest raw bar selection. Otherwise, bay scallops are preferred in ceviche dishes or are baked with herbs, wrapped in bacon, skewered and grilled, or battered and deep-fried or lightly pan-seared until the edges are a crispy brown. Simply one of the best treats that the ocean can offer. 2016’s Stone Crab Season is going very well. We look at the abundance of this sustainable fishery as a shining symbol of Holiday Magic. The crab are moving well and finding the traps daily. SeafoodS.com invites all of our Chefs to incorporate this stunning, sweet, mellow, and succulent Crab Claw in any of your Holiday menus. Florida Stone Crab harvests are one of the most “sustainable” crab industries in the world. Only the larger claw is removed, returning the live Stone Crab to the water to regenerate another claw. Categories: MARKET UPDATES, MENU PLANNING | Tags: Florida Stone Crab Season, maine scallops, Nantucket, Nantucket Bay Scallops, Prawn, Prawns, Stone Crab, Stone Crab Claw, Wagyu | Permalink. Get your Sea Scallop recipes in “Holiday mode”. December 1st opens the Maine Scallop Season and SeafoodS.com unites again with some of the freshest Day Boat Scallops Maine has to offer. This small Day Boat fleet of divers and dredgers are rigged and ready. The Scallops’ commercial harvest bolsters 6 day work weeks. The weeks consist of half diving beginning December 1st and ending April 15th, and half dredging beginning December 5th and ending March 29th. Each shipment of Day Boat Sea Scallops state F/V or Divers’ names to ensure you and your guests the trace-ability of these immaculate Scallops. Reach out to SeafoodS.com to get your Holiday menus secured. Categories: MARKET UPDATES | Tags: diver, diver caught, maine scallops, Sea Scallop, Sea Scallops | Permalink. What do you say when your Chef invites you to not only discuss product for a James Beard Dinner, but also attend the affair? Well, “Hell yes!”. CELEBRATING great food is what SeafoodS.com is all about and customer champion extraordinaire Chris Nelson jumped in with both feet! Can you say “Cannon ball!”?. SeafoodS.com takes great pride in being the trusted resource for our customers. We always strive to be the best partner when our Chefs are looking for proteins, foraged items, and culinary oddities from across the globe. Recently, Chris was honored with the invitation to dine at Cerulean in Indianapolis as guests of Executive Chef Kevin Ashworth of 610 Magnolia. The guests were a who’s who in the culinary world. They were treated to a coursed tasting to celebrate the late James Beard with this Friends of James Beard Benefit dinner. The culinary experience included the talents of Event Hosts Chefs Alan Sternberg (Cerulean) and Pete Schmutte (Cerulean), along with Kevin Ashworth (610 Magnolia), and Ryan Santos (Please). Chef Ashworth and Chef Lee have been devotees of our Lone Mountain Ranch Wagyu Tongue, and Santa Barbara Uni. During the menu planning, research, and development, Chef Ashworth challenged the food community to put its best food foot forward. Built on trust, mutual respect and a long-term partnership, Nellie embraced the conversation and was honored with the invitation to dine with the James Beard guests. Everyone was treated to a transcendental bombardment of small plates portraying impeccable culinary mastery. Part of award-winning Chef Edward Lee’s empire, 610 Magnolia embraces a “modern approach to a Southern table”. Through a robust exchange of historic, progressive, diverse and complex ideas, Chef Ashworth CELEBRATES Southern ideology while pushing the culinary boundaries. With acclaim from some of the nation’s leading food-centric, lifestyle, and trend-setting publications, it was a matter of time until he unrolled his knives in the kitchen of legacies, A James Beard Dinner. SeafoodS.com is privileged to be a part of the processes involved in making 610 Magnolia a spectacular dining experience and humbled by the opportunity to serve Chef Ashworth and his team. It was a great honor to be invited to savor the experience firsthand, and to revel in the talents of these incredible chefs. Thank you! Categories: CHEF SPOTLIGHT | Tags: 610 Magnolia, Alan Sternberg, Celebrate, Cerulean, Edward Lee, Friends Of James Beard Dinner, James Beard, Kevin Ashworth, Pete Shmutte, Please, Ryan Santos | Permalink. In October SeafoodS.com takes you to the green pastures of farmed availability. The many partnerships in our “Farm” network allow SeafoodS.com to bring to you the unique and desirable proteins that make menu writing a more flavorful endeavor. Finish your October with incredible Wagyu. Acquired in 1965 by Marion and Glen Lloyd, the Ranch served as the stomping grounds for the extended family while they raised various breeds of commercial cattle. Mary Lloyd Estrin and her husband Robert (Bob) Estrin took the reins of the Ranch in the mid-90s, spending cherished time on the land while cultivating a new legacy for the Ranch. After experiencing Wagyu beef at a Santa Monica restaurant in 2004, Bob knew the future of the family Ranch lay on his plate. In 2005, Bob purchased his first two 100% Fullblood Wagyu Bulls, transitioning the entire herd from conventional cattle to 100% Fullblood Wagyu by 2008. In 2010 the restaurant and consumer arm of the business was launched, bringing our 100% Fullblood Wagyu beef directly to the kitchens of professional and hobby gourmet chefs alike. Since then we have been growing both our herd and consumer offerings, launching our award-winning 100% Fullblood Sausages and Beef Jerky online and in gourmet retailers in 2014. Located in Golden, New Mexico, between Santa Fe and Albuquerque on the historic Turquoise Trail, the Lone Mountain Ranch is a treasured and enchanting swath of land. Nestled between the San Pedro and Oritz Mountain ranges, this 27,000-acre plot is a vibrant ecosystem anchored by the lone mountain that guards the valley. We value this very special place as a piece of our heritage and take great care in nurturing it. Snake River Farms American Kobe (Wagyu) beef is celebrated by chefs and beef connoisseurs throughout the world and featured in a number of Michelin starred restaurants. USDA Prime, the highest USDA grade for beef does not adequately represent the quality of our distinctive and delicious beef. Only 3% of all beef in the US receives the designation of Prime, yet Snake River Farms far exceeds the standard. For this reason, we utilize the Japanese marbling scale which accurately measures the marbling in Snake River Farms beef. Snake River Farms carefully manages how our Wagyu/Angus cattle are raised from start to finish. The extraordinary care given to these special breeds makes Snake River Farms American Wagyu Beef one of the finest meats available. Snake River Farms Wagyu/Angus cross cattle are raised along the high plain of the Snake River in Eastern Idaho. Our proprietary herd is one of the most highly regarded groups of American Wagyu cattle in the world. We have adopted many aspects of the heritage-steeped Japanese feeding method which takes up to four times longer than traditional U.S. cattle production methods. The result is stunningly beautiful beef that’s extremely tender, intensely flavorful, and a one of a kind dining experience. Wagyu cattle, an ancient breed that was refined in the Kobe region of Japan, serve as the foundation for the Snake River Farms American Wagyu beef program. In the 1980’s family owned and operated Snake River Farms brought over a small herd of purebred Wagyu cattle to the United States, and have been perfecting their herd ever since. SRF works with other western family ranchers who utilize our Wagyu Bulls (male cattle) on their beef cows (females) to raise the 50% Wagyu calves that make their way into the Snake River Farms American Wagyu Beef program. These cattle contain the characteristics that allow our beef to have the best of both worlds; exceptional marbling (intermuscular fat) that the Wagyu are famous for, and the desired and strong “beefy” flavor coming from your more traditional cattle breeds. Once the cattle have been raised on the ranch, they are moved to eastern Idaho, along the Snake River where they are finished. We have adopted the same philosophy of the heritage steeped Japanese feeding methods, and though we do not massage them daily of feed them beer, the cattle do receive a balanced diet of Northwest ingredients that include Idaho potatoes, soft white wheat, corn and hay. The slow paced way that we finish cattle, four times longer than most cattle in the US, allows our American Wagyu to substantially increase their amount of marbling, or deposits of intramuscular fat. Though these cattle are genetically predisposed to greater marbling they actually have a lower percentage of saturated fat than any other breed. When it comes to grading, American Wagyu out performs regular beef every single time. Prime, which is the highest USDA quality grade does not adequately represent Snake River Farms Beef, so we have developed a grading system that is a combination of the Japanese and U.S. grading systems. Our grading scale begins as USDA Prime which is equal to a Japanese “Beef Marbling Scale” or BMS 5 and goes up from there. All Mishima Reserve beef comes from cattle that descend from Kuroge Wagyu (Black Wagyu) bulls, the Japanese breed that elevates beef to a luxury. Wagyu has the unique, genetic ability to store fat within the muscle, which is the basis to the meat’s extraordinary flavor and tenderness. In fact, Mishima Reserve’s premium beef is so well marbled, that the supreme quality of this beef eclipses USDA Prime beef. Born and bred in America, Mishima Reserve cattle begin their life out at pasture. While US Beef cattle are typically fed for a period of 90 to 120 days, getting them to market as quickly as possible, our cattle live a different life. 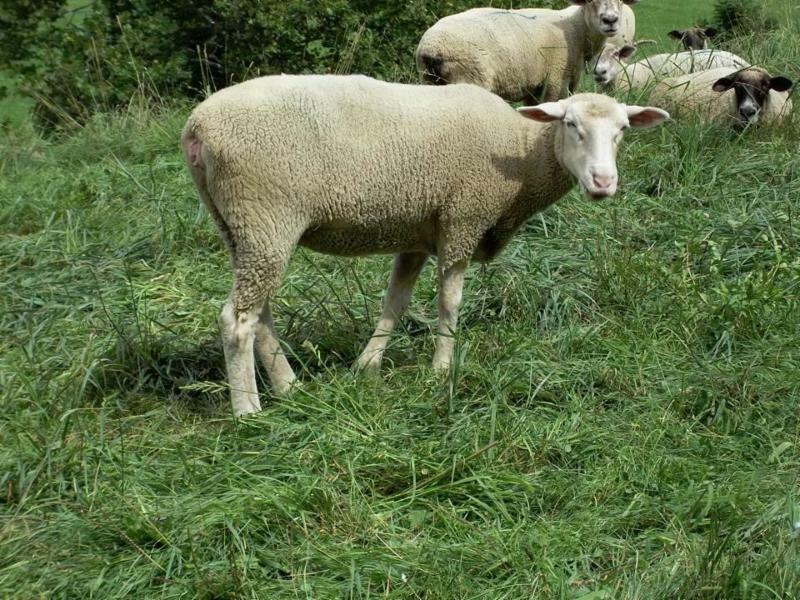 After starting on grass, they are finished on grains, fed over an extended period of 350 to 500 days. Mishima Reserve cattle are raised slowly, with easy access to clean air, water, and premium feed, because not only is this better for the cattle, but it also allows time for the meat to richly marble. We provide the ideal environment and high-quality feeds-like barley, rolled corn, corn silage, alfalfa, and wheat straw-and let nature do the rest. Indigenous to Japan, the Wagyu breed is best known for its ability to produce tender, beautifully marbled beef. Interestingly, the Wagyu breed was not intended to become the best meat-quality breed in the world. That happened quite by accident. An ancient breed, Wagyu cattle were selectively bred for centuries to strictly to be work animals, able to work long days and live long, productive work lives. Remarkably, this cultivation led to key adaptations in the beef quality and nutrition. One is the unique ability of Wagyu cattle to store energy in a quickly accessible form, as fat within the muscle tissue. This is the reason behind Wagyu beef’s exceptional marbling. The other adaptation is that much of that energy is in the form of mono-unsaturated fats, which has a lower melting point, enabling their joints and muscles to be flexible and loose throughout the long days. In fact, the Wagyu of today contains half the level of saturated fat and twice the level of mono-unsaturated fat, compared to other breeds, as well as higher levels of Omega 3 and Omega 6 fatty acids. Despite being bred for centuries in this way, it wasn’t until the last 70 years that Wagyu cattle was considered as ‘beef’ animals. It was then that the amazing characteristics were fully realized and today, Wagyu is behind the most luxurious beef brands in the world. With a commitment to quality spanning more than 55 years, the Kerwee Group have embraced innovation to deliver Australia’s finest beef to the world’s most discerning markets. Today that commitment goes from strength to strength as Kerwee embraces new market opportunities and an ever increasing demand for high quality beef.The company has also recently completed a state of the art Temple Grandin designed cattle handling facility to promote clean, low stress handling practices where the animal’s health and well being are monitored and managed around the clock. Kerwee’s emphasis on nutrition is a key contributor to it’s quality product and has seen the company invest heavily in grain handling and boiler facilities. Designed to improve the nutritional value of feed these facilities provide steamed flake barley and wheat fresh to the bunk each day. Together with silage, molasses, brewer’s grain and minerals Kerwee’s animals are HGP (Hormone Growth Promotant) free and fed on a nutritious, GMO (Genetically Modified Organism) free feed for over 200 and 400 days before preparation and packing to the highest AQIS approved export standards. The Tajiri or Tajima line is formed in the Kansai region, especially in the prefecture of Hyogo. The coat of this bloodline is black. Originally the animals were used as draft animals. This circumstance led to a greater development of the forequarters compared to the hindquarters. Tajima cattle are generally small framed and have lower growth rates, but the meat quality, in regards to marbling grade and tenderness, is excellent. The Tajima line is considered the most efficient line for producing high-quality meat. Our main focus is on genetic material from this line. Wagyu is one of the most famous worldly known beef. Kuroge Wagyu is a breed of Japanese Black hair. They are raised in Japan. 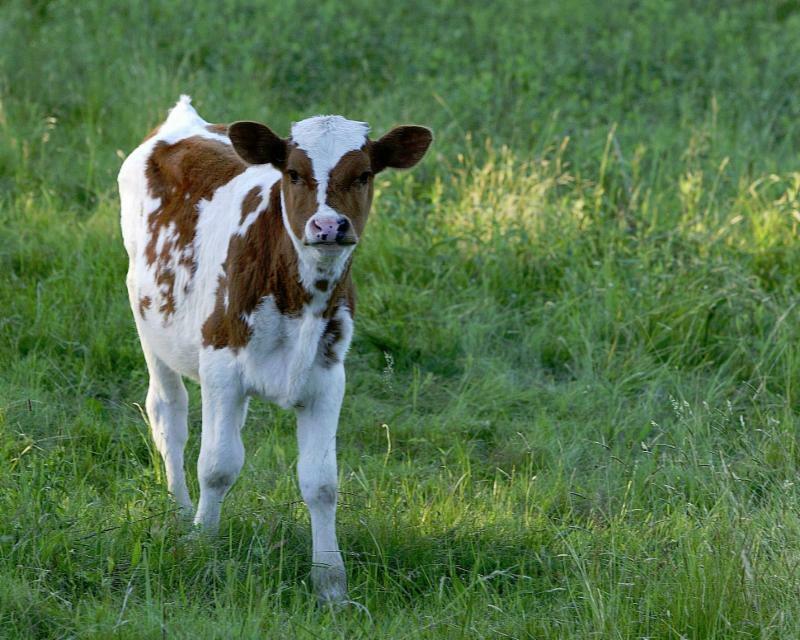 Each newborn calf stays with its natural mother for about 10 months. The calf is then sold to farmers who feed and fattened it with hay, rice straw, other roughage, barley and corn for the next 24 months. Extensive care and much labor spent to raise the cattle resulting in beef whose snow white fat thoroughly marbles the muscle the muscle meat. Only virgin heifers and steers are qualified to become Wagyu. Wagyu is raised all over Japan but Kagoshima and Miyazaki prefectures could be the most productive areas compared to other prefectures. They are raised by human beings and treated like their children. Each cow is assigned their own house (cowhouse). 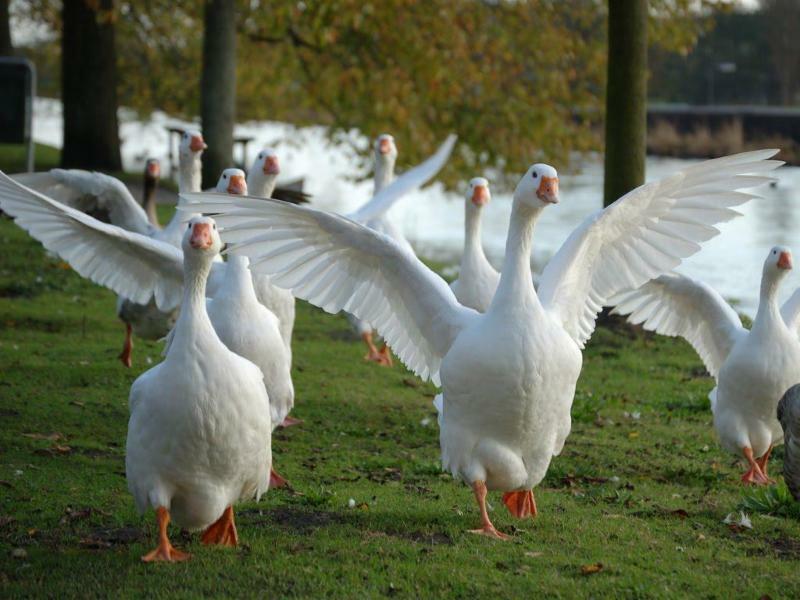 They are normally raised near the ocean or mountains which has cleaner air and water. The Japanese invented this level of quality through generations of breeding history and refinement of their feeding techniques. A5 is the highest grade. The meat at this rank has the highest marbling of fat in its muscle meat, the fat is snow white color (lower ranking beef fat has a yellowish tinge), the muscle meat is bright red-orange and it has smooth melting texture. Categories: MENU PLANNING | Tags: 100% Pure Wagyu, American Wagyu, Australian Wagyu, Bloodline, hyogo, Japanese wagyu, Kansai, kerwee, Kobe, Kuroge, Lone Mountain Ranch, Mishima Ranch, Snake River farms, Tajima, Tajiri, Temple Grandin, Ultra Grade Wagyu, USDA Grade, Wagyu, Wagyu Beef, Wagyu Marbling | Permalink. 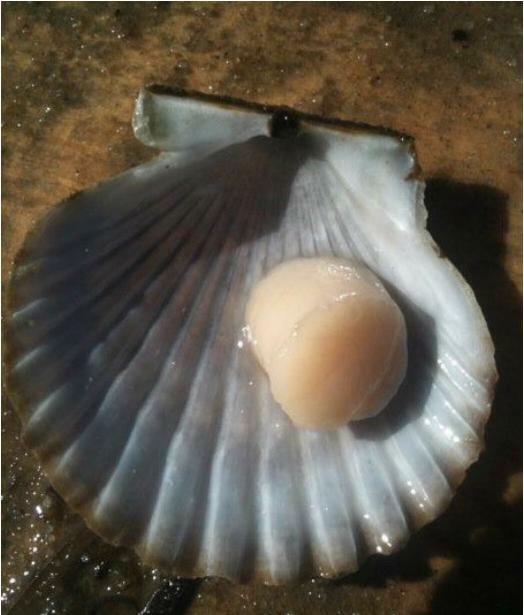 Bay scallops were not always considered a delicacy. In fact, in the early 1800s, they were used as bait for cod-fishing. It wasn’t until later in the 19th century that they became popular, and islanders quickly realized Nantucket was surrounded by a valuable commodity, literally waiting each season to be scooped off the bottom, shipped to the mainland and sold at a premium. 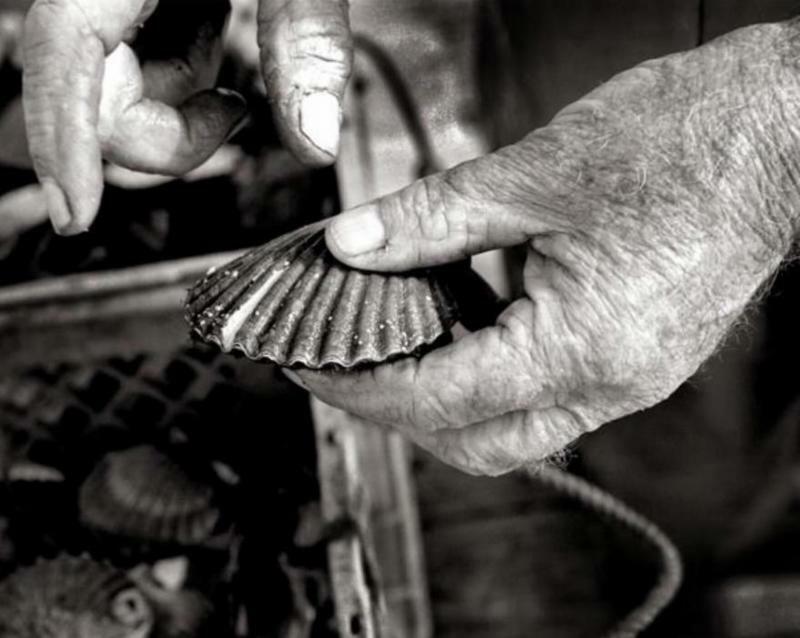 Many of the Island’s long-time commercial scallopers follow a family tradition passed down from generation to generation. Scallopers’ lives are by no means easy. They rise before dawn to be on the water by 6:30 a.m. between November and March (unless the temperature drops below 28 degrees or the wind is howling). They set out in small, open-decked boats, frequently alone, or with just a partner to help them haul their dredges. Locating scallops requires an intimate knowledge of the complex, ever-changing contours of the harbor floor, though most have never seen it. There’s also the risk of snagging another scalloper’s dredge, a costly and time-consuming setback. Commercial scallopers haul their catch from the bottom with dredges dragged behind their boats. “It’s very complex. There is so much to it with the natural changes in each season. November fishing is very different from March fishing,” said Marina Finch, who got her start with long-time scalloper Neil Cocker. In a banner year they are often back at the dock and enjoying a cup of coffee by 9 a.m., secure in the knowledge that they’ve just brought in several hundred dollars worth of succulent shellfish. 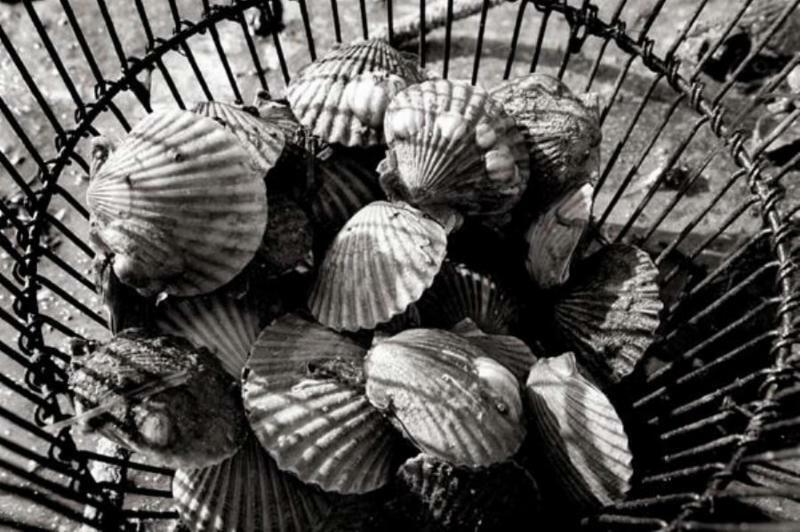 Once the scallop boat is back at the dock, the scallops, still in their shells, are brought ashore and taken to a shucking shanty, where they wait to be opened. With three quick flicks of a knife blade, veteran shuckers open the shells and separate the meat. It’s a repetitive job, but the best shuckers can go through thousands of shellfish a day. And the industry couldn’t survive without them. Call SeafoodS.com for to secure your first run. Categories: MARKET UPDATES, MENU PLANNING | Tags: BAy Scallops, Nantucket, Nantucket Bay Scallops, November Open, Scallop, Scallop Season, Scallops, season | Permalink. 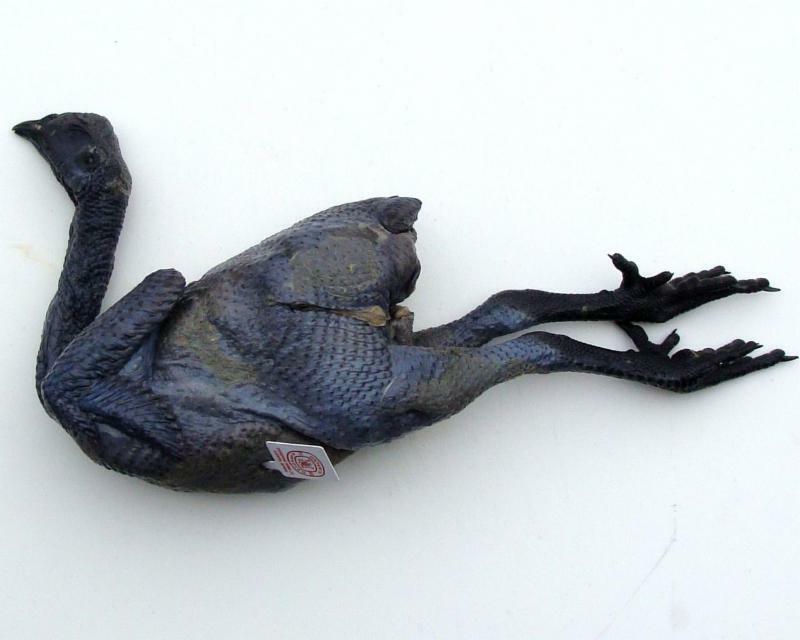 Silkies owe their unusual black color to fibromelanosis, a rare genetic mutation of hyper-pigmentation believed to have first arisen in China. Their Mandarin name, wu gu ji , means “dark-boned chicken;” the name Silkie comes from their fluffy plumage which, lacking barbicels, looks and feels like fur. Silkies have five toes, one more than other chicken breeds. Hyper-pigmentation is a harmless condition that causes skin to become darker in color than the normal surrounding skin and is caused by an excess of melanin. In humans, hyper pigmentation commonly manifests in darker patches, but for the Silkie chicken, the hyper-pigmentation further evolved into something called fibromelanosis. This causes nearly everything, aside from their plumes, to be black. Call SeafoodS.com for Availability and Pricing. 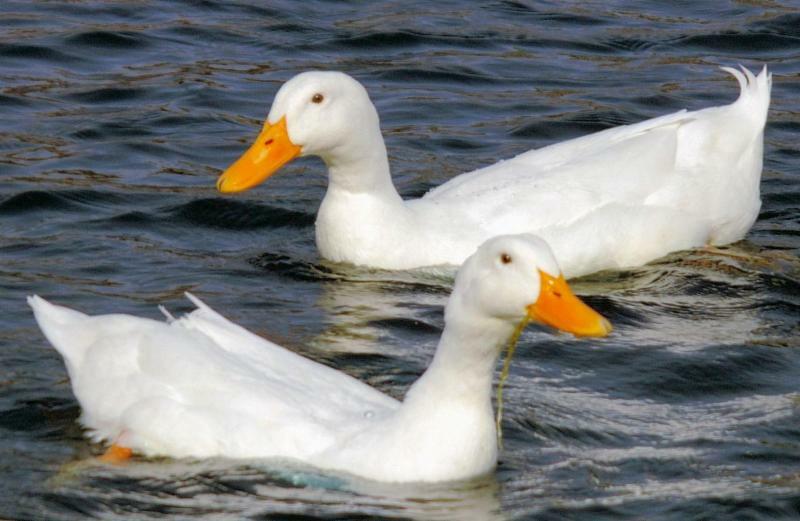 Categories: MENU PLANNING | Tags: Chicken, Duck, Farm, Geese, Pasture, Pekin, Silkie | Permalink. 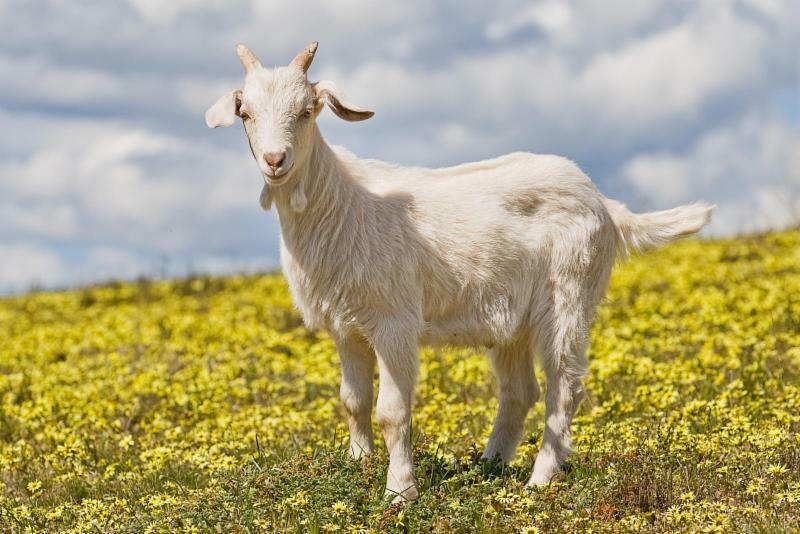 Categories: PRODUCT KNOWLEDGE | Tags: goat, goat meat, goatmeat, holistic, humanely, lamb, tether free, veal | Permalink.